I actually started as a musician, then got into magic, then improv, and then found my way into stand-up comedy. 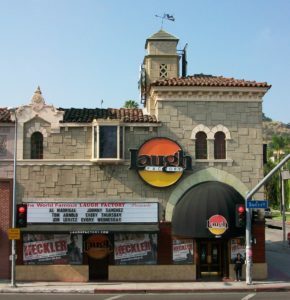 When I was 24 I visited a friend in Los Angeles, and a producer of The Tonight Show with Jay Leno saw me do stand-up. He invited me to meet Jay and I was offered to become a writer for the show. I’ve been writing and touring with comedy full-time ever since. My upcoming show at Union Hall, in Brooklyn, is called “Simon Taylor is a Super Funny Boy“. It’s a mix of all the skills I’ve built over the years: stand-up, music, storytelling, and magic. I love that old school style of entertainment where an performer did it all, so that’s what I enjoy touring with now. What are your favorite comedy cities? New York has the most going on, that includes the spectrum of the most amazing rooms and the most depressing. 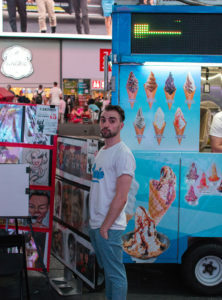 I really love Singapore because it’s such an international city; the crowd is about as diverse as you get. Other highlights are Mumbai, Denver and of course my home town of Melbourne. Where are your favorite places to perform? Where I’m from in Melbourne, there is a pub called the Brunswick Hotel. The crowd there is all inner-city hipsters so I feel at home. In Los Angeles I really love doing The Laugh Factory because I get to meet the comics I love watching. However, my favorite gig of all time was when I was in a seedy hostel in Cambodia. I was was asked by the owner to perform at the bar. There was no mic and no stage, I just had to stand on an ice-box and yell jokes to thirty or so backpackers. That felt like the purest form of being an entertainer: no lights, no sound equipment, just me and a crowd. The people I really like are the brainy writers. Mindy Kaling, who wrote and starred in The Office, has a brilliant comedy mind. Ali Wong’s last special inspired me a lot, just so many jokes thick and fast. I admire Sarah Silverman as a human being and as a comic who brings her heart on stage. She once drove me home from a show and I feel that she gave me more life advice in that thirty minutes than I’d gotten throughout college. A thermomix because I want to do it all. 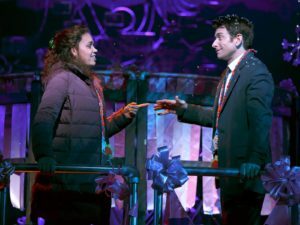 Play or Musical: Groundhog Day has some killer jokes. That was a joy to watch. Comedy Up-and-Comer: Demi Lardner, look her up. So silly and absurd and hilarious. How funny was your Comedy Month? Share with us on Twitter and Instagram!